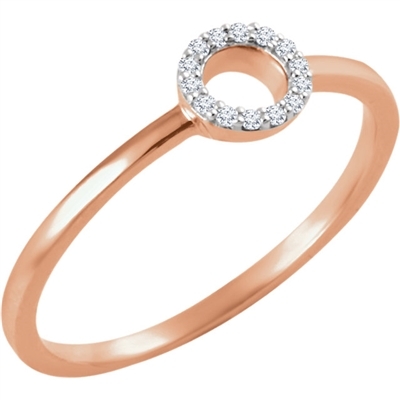 This funky and unique open circle diamond stackable ring may not be complicated, but its smooth curves help round out a stacked collection! This circle stackable ring features round brilliant diamonds, which shine boldly in the 14k rose gold. Pair this circle stack ring with any other shape you like for a fun and unique look!